If we ever made the effort to truly appreciate all that we have to appreciate, most of us wouldn't have much time left over for the grumbling and complaining. That isn't entirely realistic of course - not appreciating things can lead to improving things - but it's should help to bring a moment of perspective. Don't let the negative overwhelm you. 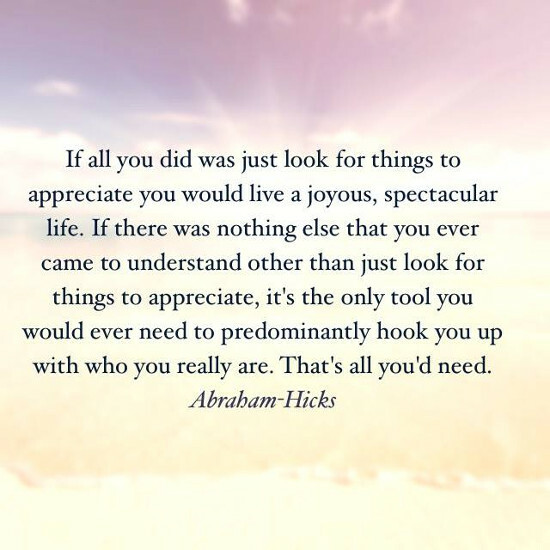 Take the time to appreciate what you have.